Over the past several years, I’ve acquired a pair of Celestron telescopes from the late ’80s and early ’90s, along with some parts and time to “restore” them. Now I’m about ready to use them in earnest, and I think they will be a great pair for outreach events. Let me tell you about them. Purchased for $75 from Craigslist -- several years ago. 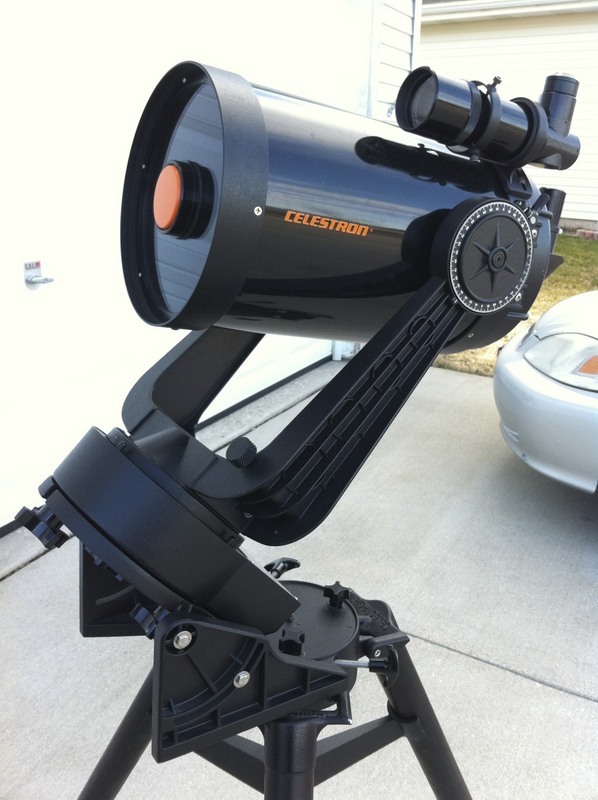 The first telescope of the pair is a Celestron C4.5. 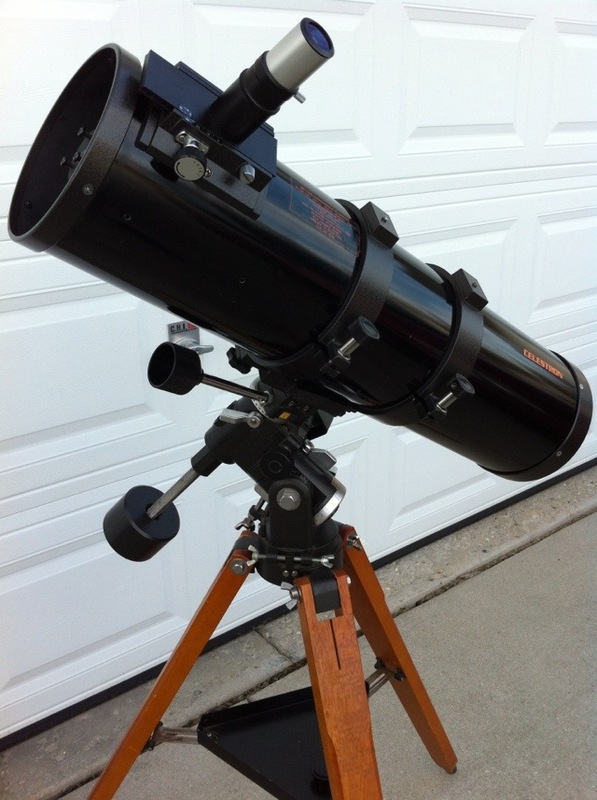 This is a Vixen-made 4.5″ f/8 Newtonian on the wonderful Polaris German equatorial mount. I purchased this instrument several years ago from a lady on Craigslist, who didn’t know much about it except that she wanted to get it out of her basement. It needed a lot of cleanup, and I left it stored in pieces after the last round of work on the scope. Recently, though, I put it back together and am now patiently waiting for some good weather to really put this instrument through it’s paces — everything is top-notch on this scope, except for the run-of-the-mill 5×24 finder. It didn’t come with a clock drive, and the original units are long gone from production and hard to come by on the used market. Fortunately, the modern Celestron/Logic drive will bolt right onto the mount and provide RA tracking with just a 9v battery; it’s a no-brainer at $35 and it will arrive soon from Hands On Optics. Until then, the slow-motion knob works well for manual tracking. I took a look at some nice sunspots just today with the included 25mm Celestron Orthoscopic eyepiece and a 5″ Thousand Oaks filter I already had for the old Nexstar 5 (another story for another time). Celestron Classic 8 from 1992. Bought used at a swap meet in 2010. The second telescope of the pair is a 1992 Celestron Classic 8 on the heavy-duty tripod of the day (this was purchased at a swap meet last spring and so I know more about it’s history). I power the AC clock drive from a jump-starter battery pack and a small inverter I had laying around in the garage, and the tracking is very good. Last year I used it a few times for sidewalk astronomy at Bayshore Town Center and it worked out very well. In fact, with the tracking I found myself with more ability to interact with people in conversation while they looked through the telescope, because I didn’t constantly have to interrupt by asking “is it still there?” or moving them away to re-center the object for them. We never have a problem with dew at Bayshore, probably becuase of all the heat from the sidewalk, road, and nearby buildings, so I never had to use a dew shield. Optically, the scope seems to be a winner as well, so much so that I tried using it in the backyard a few times last summer. That 6×30 straight-through finder was a pain to use, though, and I thought to myself I”ll need get a different finder for deep-sky work. Back in the grass, the dew situation was much worse as well. 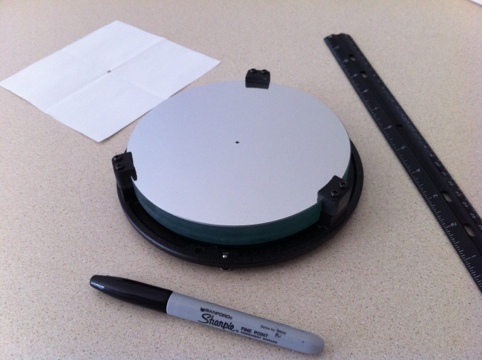 A simple $25 dew shield will help with that (coming in with the Logic drive from Hands On Optics). As for the finder, I managed to acquire the Vixen-made Celestron 8×50 Polaris finder at last month’s swap meet (one year after getting the scope itself), which has now replaced the original 6×30 finder. I’m thinking that 6×30 finder might make it’s way onto the C4.5, but that’s a project for another day. Why do I care about these telescopes? What’s the fascination? Well, these scopes represented modern chic in telescopes “back in the day.” I graduated high school in 1989 so both of these instruments stand out in my memory, and appeal to me greatly. Maybe this is my version of a mid-life crisis…I don’t know. But they are a LOT cheaper than a sports car! The fact I was able to rescue them for very reasonable prices (the C4.5 was almost free) and put them into service again is just a wonderful feeling. Using them for outreach, they will introduce hundreds of people to the wonders of astronomy each year. Using them under the dark skies of Harrington Beach, they will take me back to my youth. Simple and effective telescopes such as these have no expiration date. I prefer star hopping with small scopes, especially in outreach situations, but tracking will allow me to run both scopes at the same time. 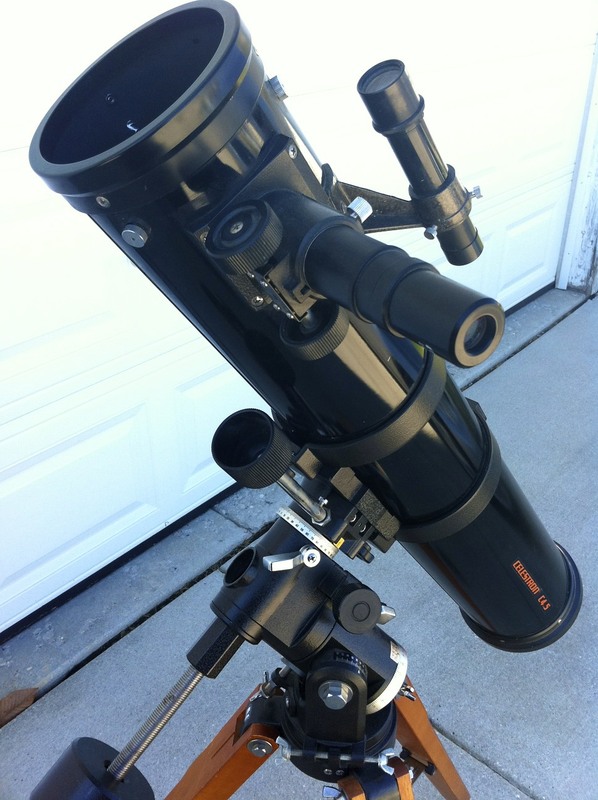 The dual “classic black” Celestrons should be an awesome pair in this regard. Plus, I think they look really cool and will attract attention on the sidewalk. We’ll see next month when the sidewalk astronomy season begins!